IndieSquare was among other blockchain adopters, Everdreamsoft at this year’s Tokyo Game Show this past month. There, the team demonstrated their new web standard API onboard with present developers; alongside their new SDK (Software Developer Kits). As mentioned previously in other updates, the new API will allow developers to have a 3rd party hosting functionality within IndieSquare Wallet. Mafia Wars just celebrated their 3rd distribution of MAFIACASH last month. The game of idle accumulation set within the context of mob families saw (as mentioned) the 3rd distribution of MAFIACASH over 5 families within its game in September. Alongside the distribution, Mafia Wars released family rankings for the month, reminding players that to increase their monthly distributions and rankings (and grow their families) then they need to purchase cards from ‘the black market’. To learn more about the Mafia War families click here. In other Mafia Wars news, a monthly design contest has also been announced. To learn more, click here. Spells of Genesis recently released version 1.2.18 of their Arcade/Trading Card Game hybrid; built upon the blockchain. Updates available in the new version, available across app stores now, include visual effect enhancements alongside additional Stamina and Logic improvements to the game to improve the gameplay experience. To learn more, click here. In another strategy update, the Spells of Genesis team have released a tutorial on how to tackle ‘the purple dragon’ aka the 10th level in the game. Check that out here. BitCrystals celebrated the long-awaited launch of Casa Tookan this past month! Casa Tookan recently launched globally in the google play store. Soon to be available on iOS, the blockchain wallet will also host itself to 3rd party games and also decentralized applications, as well as multichain support in the near future. The BitCrystals team was also at the Tokyo Game show, where they demonstrated Casa Tookan alongside other projects such as Soap Arena to visiting guests and developers. FoldingCoin recently presented at the Indy Tech Talks Meetup. Robert Ross; founder of FoldingCoin Inc. focused the discussion on how distributed computing can help cure diseases – as per the project’s ethos – with the aid of cryptocurrency. You can check it out above. Check out our new fundraiser page on Facebook (https://t.co/pcCMz9Yydq). Every bit counts and helps us spread the word on Stanford's Folding@Home! In development updates for the FoldingCoin team, the construction of the Merged Folding integration is finally complete and in use for September’s distributions. The team is also communicating with various exchanges to list FLDC at no fee. In other news, the team has reached out to UNICEF France to query whether FLDC can be accepted as donation payment type and the FoldingCoin team has also launched on their own donations website. To check out the many other updates from FoldingCoin over the past month, click here. Age of Rust has provided quite a few development previews over the past month. The “dark sci-fi” blockchain-based game, due to be released on PC soon, allows players to explore a high-quality graphic built universe filled with blockchain puzzles. The team offers some insight behind both their space and blockchain based premises in a recent medium article. You can check that out here, alongside all the sneak peaks below! Augmentors recently celebrated the launch of their Augmented Reality (AR) game, built atop of blockchain technology. Partially using both the Bitcoin Blockchain via the counterparty protocol (for its databits economy) and the ethereum blockchain (for its creatures); players can now battle creatures riddled with complex backstories of fantasy lore, in the real world. The Team recently launched the game at ComicCon Africa but has no plans of slowing down with the Q4 section of their projected roadmap fast approaching. Players can expect fresh features as well as game enhancements in the near future. Augmentors is available on both iOS and via the Google Play store. Bitcorn Crops recently added an achievements board to its site, where players can break down rankings by both tokens and farms with descriptors that are attributed to the achievement earned. Members of the community who join the Bitcorn Crops Telegram group will also earn 0.001 CROPS to help in the game of idle accumulation. Blockchainizator, another counterparty token collection, issued a crops themed card recently. Quoted as giving good “synergy” between both projects and the harvest gaming method; you can view the other cards available through the game here. Bitcorn’s creator Dan Anderson was also featured in a discussion on his project on Hodlcast. In Counterparty news this month an article on Cryptobriefing.com features Spells of Genesis and Augmentors in their rankings for the 6 best cryptogames. Holding the top two positions respectively, the slight yet adjoining critique of the games that follow seem out of place and contradictory, but provide concise summaries of the gaming styles and contexts regardless. The article itself addresses blockchain’s need to (still) earn its place in the gaming platform universe. Discussing the scalability issues surrounding blockchain and the existing projects in the gaming world that have adopted it, the body of text focuses on critiquing the ethereum blockchain whilst listing two projects with strong roots in the counterparty protocols (it is important to note, however, that they have since developed ties to ethereum) as the highest ranking games to use blockchain technologies. Augmentors garners another mention in an article on the use and potential success of Dapps (decentralized apps) in gaming. The article discusses the weakness of DApps in their current formats before concluding that they will potentially find the most success on web formats such as Augmentors has demonstrated with their recent launch. 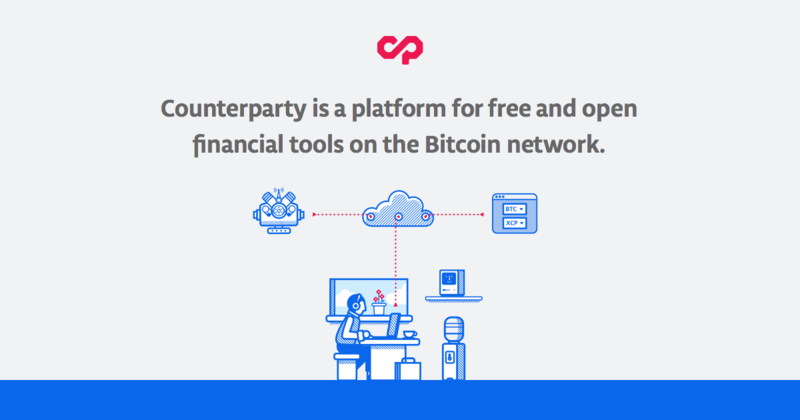 This past month, Counterparty protocol developers have reviewed and processed more than 50 pull requests in regards to CIP 19. Moreover, the Counterparty protocol was updated to Bitcoin 0.16.3 meaning CIP 19, unfortunately, missed its target of meeting 0.16.2 due to this update. However, a PR was merged to use it. Despite recent delays over the last year, Counterparty is accepting CIP requests and reviewing PRs such as CIP 6 and CIP 10.